Along with eating tapas, drinking sangria and watching flamenco, watching a bullfight is in many people's 'must do' list when they visit Spain. But should you see a bullfight? There are many opponents to the tradition who condemn bullfighting as torture. Here's what you need to know. Bullfighting has existed for thousands of years and it has been popular in Spain for nearly a millennium, though some say it has existed in Spain since the time of Emperor Claudius two thousand years ago. With the rise of the animal rights movement, an ever increasing number of people have been critical of bullfighting, both within Spain and in the rest of the world. The number of websites in opposition to the activity far exceeds the number in favor. In 2010, the government in Barcelona banned bullfighting in Catalonia, but Madrid and Andalusia continue to host bullfighting events throughout the summer. The stadiums are usually full, both with curious tourists and die-hard fans. Animal rights activists argue that the practice is barbaric and that the animal suffers extensively during the ritual. They also differentiate between killing for meat — considered to be a necessity, and killing for fun. For a start, proponents of bullfighting point out that the animal is eaten afterward, so the animal's death is not in vain. They also claim that the animal does not suffer greatly during the event — a good bullfighter will kill the bull efficiently. But the strength of this argument is questionable — while the final kill is quick, the abuse the bull sustains during the fight is prolonged. The idea that abattoirs always kill in the most painless and efficient way is said to be a myth. With the number of bulls that die each year in bullfighting tiny compared to the number that dies in the meat trade, the campaign against bullfighting is seen to be a waste of resources when there are far more animals dying in unfit slaughterhouses than in the bullring. Of course, the barbarity of abattoirs does not excuse cruelty of a bullfight. But it does suggest that a disproportionate amount of time is being spent on protesting against bullfighting when there are bigger animal cruelty battles to fight. There is also an argument against the idea that we eat meat out of necessity and bullfighting is for 'fun'. The truth is that vegetarianism is a viable alternative to meat-eating and that all meat-eaters do it 'for fun'. Whether your fun comes in the form of a 20-minute visual spectacle or a juicy hamburger, some might argue the result is the same. 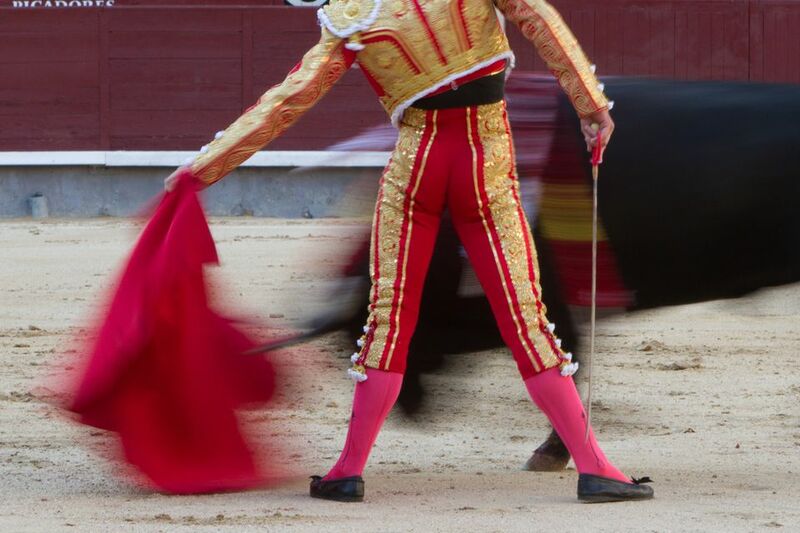 The European Union shows no sign of stepping in to ban bullfighting. It even actively promotes an event in Coria where a bull is taunted in the streets. Such activities are deemed to be "traditions, customs, and a centuries-old culture". It is difficult to gauge how many people in the audience of a bullfight are tourists and how many are local aficionados. But there is definitely a strong argument that if international public opinion continues to worsen and tourists stop attending, the number of bullfights may dwindle as organizers find the events to be no longer viable.